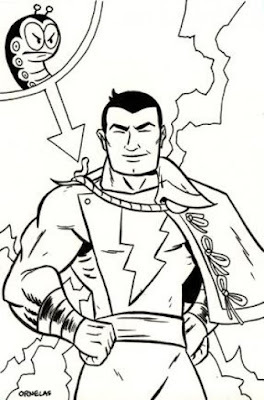 The one true Captain Marvel and Mr. Mind as drawn for me by Bobgar Ornelas. You can see the Cosmic Boy he did for me here.